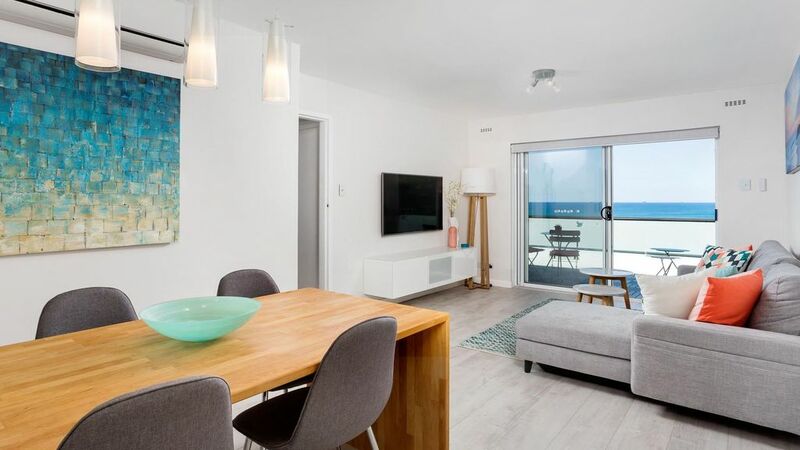 The apartment is located on the ocean front in the south part of Cottesloe. This has the advantage of being a little quieter (often with just a couple of people to share the beautiful beach with) but close enough to the action when you want it. Beautiful apartment. Good location. Owner very helpful. Perfect apartment in an idyllic location. Sophie is an accomodating host :) The place is beautifully furnished and the balcony provides a good place to chill with view of the sea. Thanks Sophie! We really enjoyed our stay here. The apartment is clean, comfortable and has everything you need. Nicely decorated and very relaxing. My Mum (51) and I (21) really enjoyed our mother’s day stay at your beautiful beach apartment. The beach across the road has white sand and a crystal ocean. The quality decorations and artwork in the apartment keep in touch with the local area which really ensures you feel relaxed and on holiday. Kitchen is fully stocked with utensils and appliances. Loved having a washer dryer! A must have for a beach located residence. Tv was big and quality. Wifi was the best I’ve ever had at a rented property. Netflix is an awesome touch and worked well! I loved the balcony decor, we had breakfast out there each morning. An FYI I would give to travelers from bigger towns is to note that grocery store hours are limited in Perth. Us coming from Sydney rocked up to a coles at 5pm and we’re shocked to find it closing so ensure to check the local store hours. Cottesloe is such a nice peaceful town and we found the apartment to be in a great location. We did have a hire car which we used to go down the coast, around Perth CBD and discover suburbia. Perth really is such a simple but beautifully pretty city where the sunsets are longer. It’s such a nice place for a relaxing holiday to get away from a busy city and back to the basics. Thank you for having us Sophie! We thoroughly enjoyed our stay - the property was very comfortable, immaculately clean, well appointed and in a good position. We will definitely stay again and highly recommend to others.